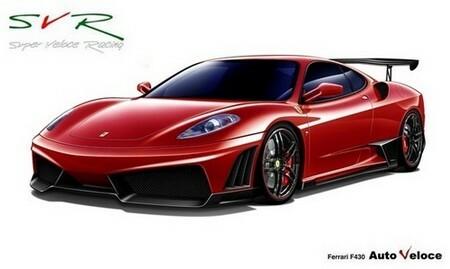 Ferrari F430 with Lamborghini nose! This car is a work of Japanese tuner Auto Veloce, and as you see they’ve mated a Ferrari F430 with a Lamborghini Gallardo LP560! Now if these two cars were cheap or anything rubbish, you could call it lame or stupid. But it’s a Ferrari with some Lamborghini flavor, what’s not to like?! Apart from the front bumper as the main feature, they have also given it Lambo style side skirts with air intakes, and a big rear wing like the one on Murcielago SV.